When we jump back into the insane, mind-frenzied world of Hotline Miami in its highly anticipated sequel, Hotline Miami 2: Wrong Number, we aren't just in store for wave after wave of nightmarish, pixelated violence. We are in for a mind melting experience with the game's transcendent soundtrack. We all have our favorite track from the first game, mine is "Push It" from chapter 8, but now we have a peak at two tracks from the second game entitled "The Way Home" and "The Face of Evil." Both are from Magic Sword's debut album – Volume 1 -, which can be snagged up at Bandcamp for a pay-what-you-want price. Do we have any early contenders for smash hits? Not bad. I can definitely see myself slaughtering gangsters with machetes and drill bits to this music, and I'm not sure if that is something I should be openly talking about. "The Face of Evil" even comes off a little bit like an old-school Castlevania track at first. Or maybe I'm just going crazy. 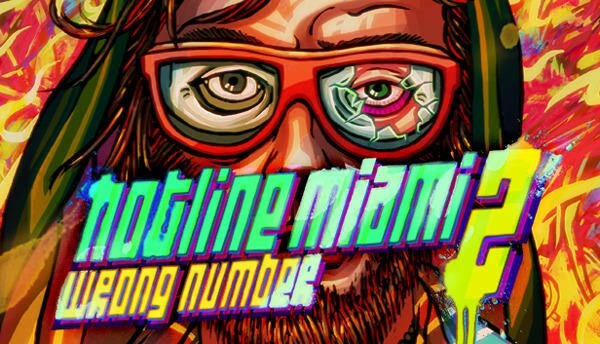 Hotline Miami 2: Wrong Number has seen a few delays recently, but the developers have promised an early 2015 release in the coming weeks. It will be released for the PC, PlayStation 3, PlayStation 4 and PS Vita. Australian fans will sadly be missing out on the title due to the game being effectively banned with an 18+ rating, but the developer encouraged them to just go ahead an pirate it. That's only if you live in Australia by the way! If you are American, Canadian or British and you can legitimately buy this game with real-world money, you should definitely do so.